Srixon designs Men’s Golf Clubs with state-of-the-art materials, innovative technologies, and high quality designs that fit a wide range of players. 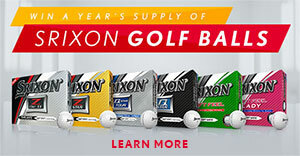 With Srixon, tour performance is taken further with men’s golf clubs that will help you play better golf. When you decide to play Srixon Men’s Golf Clubs, you know you’re getting expert craftsmanship and innovation, which has been mastered and relied upon by golf professionals all over the world. Choose Srixon’s woods and irons, and see why at Srixon, we are dedicated to improving your game. Discover our full line of Srixon men’s drivers, woods, and irons. Find the perfect set for you and be ready to improve your play on the course. Stronger is faster with all-new Z Series Woods. Get explosive distance and unprecedented long-game performance with the latest Z Series Woods. The Srixon Z 585 Driver features shaping and weighting that promotes higher, straighter drives time-after-time. Offering added forgiveness on off-center impacts thanks to a lightweight carbon crown, the Z 585 Driver consistently produces more accurate drives. Experience exceptional ball speed performance with the Z 585 Driver. A long game crafted for tour, the Srixon Z 785 Driver is 460cc with a tour preferred look and profile. Featuring a new Ti51AF Cup Face that is stronger, lighter and faster, the Z 785 Driver produces exceptional ball speed for greater distance off the tee. The Z 785 Driver launches with a low-spin, penetrating trajectory that the best players in the world rely upon. The most advanced line of Fairway Woods to date, the Srixon Z F85 Fairway Woods provide a powerful, penetrating trajectory from the tee box or from the fairway. With an enhanced Cup Face and lightweight carbon crown, the F85 Fairway Woods offers enhanced ball speed and distance in a stable, reliable option. Step up and strike it with confidence with Srixon’s Z H85 Hybrids. The most advanced line of hybrids that Srixon has ever developed, the advanced crown geometry increases forgiveness for consistent distance from any condition. Hit higher, straighter shots with the advanced shaping found within Srixon’s Z H85 Hybrids. Play the new Z Series Utility Irons: the #1 Utility Iron on Tour. The Z U85 Utility Irons are compact, hollow-body long irons that are longer and more forgiving than traditional designs. Forged from ultra-soft 1020 carbon steel and an iron-like address profile, the U85 Utility Irons offer that soft, buttery feel with a confidence inspiring design. Srixon Men’s Irons offer precision forged carbon steel for consistent feel, feedback, and control. Get distance and feel or workability and feel with the latest iron offerings from Srixon. Winner of MyGolfSpy’s Most Wanted Game Improvement Iron, the Srixon Z 585 Irons offer game-improvement features in a compact, workable shape for increased distance and feel. Featuring an added Speed Groove, the Z 585 Irons offer incredible distance gains, while precision forging provides the ultimate soft feel. The Srixon Z 785 Irons provide the utmost versatility and feel in a compact player’s iron. Featuring a new Tour Cavity with additional mass behind the impact location, the Z 785 Irons greatly enhances shot shaping capabilities and better feel to work the ball in any direction.